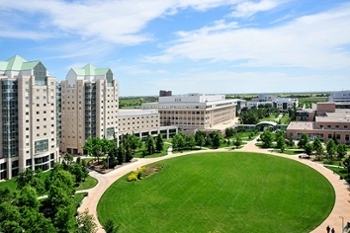 The University of Regina—with campuses located in Regina and Saskatoon on Treaty 4 and Treaty 6 territories, the ancestral lands of the Cree, Saulteaux, Dakota, Nakoda, and Lakota nations and the homeland of the Métis—is a comprehensive, mid-sized university that traces its roots back to the creation of Regina College, a small residential high school established by the Methodist church in 1911. 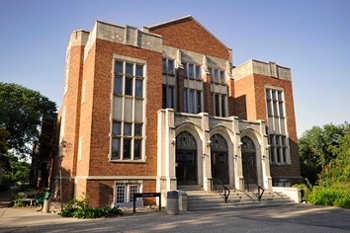 The College grew in size and significance becoming a campus of the University of Saskatchewan and, ultimately, an independent degree granting university – the University of Regina – in 1974. In 2018, the University experienced 10 consecutive years of enrolment growth. Our student body in Fall 2018 was 15,568 full-time and part-time students – a record number, registered in our 10 faculties, 25 academic departments and schools, 18 research centres and institutes, and three federated colleges (Campion College, First Nations University of Canada, and Luther College). Our Colleges bring excellence and diversity to the educational experience we offer. In 2017, the University of Regina was ranked in the Top 200 Best Young Universities in the world by Times Higher Education, building on our established reputation for excellence and innovative programs that lead to undergraduate, graduate, and doctoral degrees. Tuition remains below the national average and the University ranks second nationally among comprehensive universities in the level of student financial support – scholarships, awards, and bursaries – available as a percentage of tuition. In Regina, our main campus and historic College Avenue campus are located on 239 acres and provide an attractive study and work environment for our students, faculty and staff. Both Regina campuses are located in Wascana Centre, one of the largest urban parks in North America. On August 1, 2018, the University of Regina campuses became 100 per cent smoke-free as part of our commitment to providing a safe and healthy place in which to study, work, live, and visit. Our alumni – numbering more than 73,000 – contribute to and build our society in Saskatchewan and in Canada, and are our ambassadors to the world. Our history, our accomplishments, and our growth as a university stem from our commitment to working together for the good of our local and global communities. The University’s 2015-2020 strategic plan, entitled peyak aski kikawinaw – Cree for “We are one with Mother Earth” – builds on our rich heritage, recognizes the growing importance of our place in the world, and sets forth a bold collective vision for the future. The plan identifies and expands upon three key priorities – student success, research impact, and commitment to our communities – and includes Indigenization and sustainability as overarching areas of emphasis that contribute to our shared vision of being a national leader in developing educated contributors, career-ready learners, and global citizens while generating meaningful, high impact scholarship. Indigenization is one of two overarching areas of emphasis at the University of Regina. In 2017, our self-declared Indigenous students totaled 1,943 and comprised 12.7 per cent of the student body. The University has increased supports for Indigenous students on campus, increased scholarships and bursaries, and created the Aboriginal Student Centre, and the Office of Indigenization which serves the entire University community, including its three federated colleges, the First Nations University of Canada, Campion College, and Luther College. The Office is a leader of Indigenization on campus and is responsive to and seeks direction from various partners and community members throughout Regina and the province of Saskatchewan. The Office works in five main areas: academic Indigenization, Indigenous-centred research, governance and administration, student success, and community engagement. Sustainability is another overarching area of emphasis at the University. The President's Advisory Committee on Sustainability (PACS) supports the vision of the University’s strategic plan and helps guide the University of Regina in ensuring that the best insight, knowledge, leadership and high ethical standards regarding sustainability are brought to decisions around sustainable operations, education, research, performance evaluation and community service. The Strategic Plan for Sustainability aims to make the University a leader in environmental responsibility, putting sustainability at the core of our teaching, research, and campus life. Strategic areas of focus are: leadership, waste, energy, transportation, and communication and engagement. 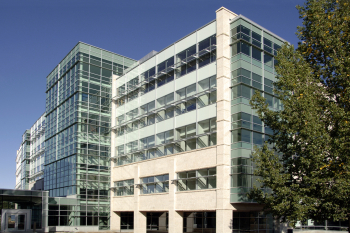 Sustainability initiatives have included a print optimization project to reduce paper and power consumption and CO2 emissions, campus re-lamping to replace approximately 18,000 lighting fixtures with energy-efficient lighting, and the elimination of herbicides in the academic green. We offer more than 120 undergraduate programs and 78 graduate programs, including many specialized programs such as police studies and public policy. Our Faculty of Engineering and Applied Science offers a number of undergraduate programs aimed at preparing students for careers in petroleum engineering, software systems engineering, environmental systems engineering and electronic and industrial systems engineering. All are fully accredited by the Canadian Engineering Accreditation Board. In 2015, our Faculty of Arts joined a handful of Canadian universities to offer an undergraduate program in philosophy, politics and economics – an internationally-acclaimed designation offered by major universities including Oxford and Yale. Arts also welcomed its first Master of Journalism cohort in September 2015. La Cité universitaire francophone is a hub for the study of French language and culture of French-speaking regions and countries across the world. La Cité offers a complete range of programming in French as a second language that meets the needs of learners from beginners to advanced levels. We value inclusive education and provide programs and initiatives that support this goal such as the Certificate in Extended Studies in Inclusive Education, which enhances knowledge and expertise in fostering an inclusive classroom, and Campus for All, an inclusive post-secondary education (IPSE) initiative for adults experiencing intellectual disability. The University supports inclusion and diversity through programs such as the Colourful Campus House, a housing option specifically for 2LGBTQ+ students. Created in partnership with UR Pride Centre, Colourful Campus House has allocated two, six-bedroom apartments in College West residence for this initiative. Also in College West, a new multipurpose lounge on the fourth floor features special ventilation so the space can be used for smudging, ensuring Indigenous students can practice their culture freely and build a sense of belonging. Spring 2018 saw the 1,000th student graduate from the Saskatchewan Collaborative Bachelor of Science in Nursing Program, offered jointly with Saskatchewan Polytechnic. The four-year degree program, offered in Regina and Saskatoon with local cohort intakes in Swift Current and North Battleford, first accepted students in fall 2011. In September 2014, the Collaborative Nurse Practitioner Program (CNPP), an online Master’s program, was launched. University programs such as nursing respond to the needs of the province, and the balance of scholarship, research and public service that constitutes our three-part academic mission is attracting students and international attention. We are proud to be the first Canadian university to offer a Bachelor of Arts degree in Police Studies. The program has resulted in important partnerships with police services in the province and beyond. We are also proud to offer innovative interdisciplinary degree programs. The Creative Technologies interdisciplinary program, based in the Faculty of Media, Art, and Performance, brings together artists, scientists, and cultural theorists who can choose from a wide array of courses in engineering, computer science, and fine arts, such as new media, film production, animation and software design. University of Regina graduates experience the best employment outcomes of all post-secondary graduates in Saskatchewan. We are leaders in the critical area of experiential learning, and our graduates leave our campus prepared to succeed in the world. In 1969 we were the first university in Western Canada to offer co-operative placements, and we now offer the Co-operative Education & Internships Program in more than 50 programs in the Faculties of Arts, Business Administration, Engineering and Applied Science, and Science. In 2017, students in our Co-operative Education program were placed in 817 jobs and earned nearly $10 million in salaries. And 93 per cent of those jobs were right here in Saskatchewan. Over the last decade, co-op job placements and internships have grown by 60 per cent, as we continue to develop career-ready graduates and connect students with potential employers. In addition to traditional co-operative programs and internship opportunities, we are the first in Canada to guarantee career-related employment for those registered in our UR Guarantee Program. Established in 2009, the UR Guarantee Program provides students with access to critical academic, leadership and service opportunities throughout their undergraduate study. Students successfully completing the program should possess the skills and knowledge necessary to start their careers within six months of graduation. If a student is not successful, the University will pay for one year's worth (30 credits) of additional undergraduate tuition and course fees. In addition to bringing the world to our campus, we work with community stakeholders, government organizations and funding agencies at home and around the world and have partnered with academic institutions globally to provide opportunities to collaborate on teaching, research, and community-development. In 2018 the University has 295 international institutional agreements with 48 countries facilitating opportunities for student mobility, research, and faculty mobility. Our international reach continues to extend outwards with positive results. The University is home to more than 400 active researchers, including faculty members, graduate and undergraduate students, post-doctoral fellows, and nine Canada Research Chairs. Several institutes, centres, laboratories, and facilities on campus support research collaboration and partnerships focused on our research strengths. Indigenous research is a growing focus as we encourage and support Indigenous ways of knowing. Several centres and institutes reflect this in their projects and partnerships. The University received the highest research impact ranking among medium-sized comprehensive universities in Canada by size and number of disciplines in Innovating Life, (Sept. 2014). The University achieved top ranking among comprehensive universities in international research collaboration by Research InfoSource. The rankings are based on the proportion of publications at each institution co-authored with researchers outside of Canada. For the period 2008-2012, over 51 percent of all publications by University of Regina researchers were co-authored with researchers abroad. Recent campus growth is built on our history and a commitment to academic and research excellence, student life, culture, and sustainability. Completed in 2008, our Research and Innovation Centre received national attention from the Royal Architectural Institute of Canada when it was profiled as an example of excellence in functional design in Award, the Magazine of Sustainable Architecture, Construction and Design. In 2011, the University launched the College Avenue Campus Renewal Project – an ambitious plan to revitalize the architecturally and culturally significant buildings on College Avenue, ensuring a vibrant centre of learning, research and culture remains in the heart of downtown Regina. In 2015, the University contracted Regina-based architectural firm P3 Architecture Partners (P3A) in association with heritage experts Donald Luxton and Associates to lead the project. 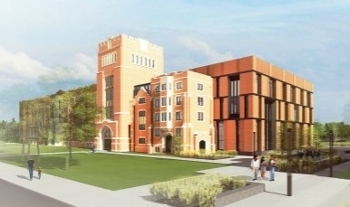 In August 2018, through the generous support of donors, the renewed College Building re-opened its doors to students and the community with the completion of phase one of the project. In September 2015, the University opened the newest of our residence buildings, Kīšik Towers, providing an additional 605 beds for students in residence, 90 new daycare spaces and 150 underground parking stalls. The new construction is an example of our commitment to sustainability – an overarching area of emphasis outlined in our strategic plan. Using leading-edge in-floor heating and cooling systems, heat recovery, LED lighting, and occupancy-based controls, Kīšik Towers will realize efficiency improvements of more than 25 per cent over our award-winning Paskwāw and Wakpá Tower project that was completed in 2005. In August 2018, the first University of Regina residence – College West – was re-opened following a major renovation to upgrade the 45-year-old building into modern, safe, inclusive, bright, and accessible housing for 274 students. 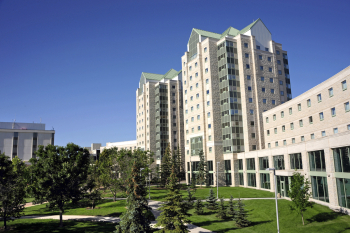 The U of R’s College West, Kīšik, Paskwāw and Wakpá towers are now able to accommodate 1,611 students in on-campus housing. The University helps create capacity for social, cultural and economic development, and has long been recognized as an economic driver in the local economy. The University’s operating budget for the 2018-19 fiscal year is $223 million – the 24th consecutive year the University has balanced its operating budget. Together with our Federated Colleges, we employed 3,196 individuals in academic and staff positions in 2017. The institution contributes more than half-a-billion dollars in GDP to the provincial economy, with active construction projects during 2017-18 alone totaling $182 million. Our community reach is further extended through the College Avenue campus – a centre for educational outreach into the community. Home to the University’s Centre for Continuing Education – including the Lifelong Learning Centre and the Conservatory of Performing Arts – each year, the College Avenue Campus serves approximately 8,000 learners, including 1,100 students through English as a Second Language programming and 2,300 who benefit from programming at the Lifelong Learning Centre. The Centre for Continuing Educations employs approximately 500 people, and creates $18 million in GDP impact annually. Major events on our campus attract visitors from around the world to our city and province. In 2018, the University hosted the 87th annual Congress of the Humanities and Social Sciences, Canada’s largest academic conference and the biggest convention in the City’s history. Congress 2018 attracted more than 5,000 researchers, scholars, policy makers, and graduate students in the social sciences from across Canada and around the world to our city. Also in 2018, the University hosted the USports Women’s Basketball National Championship for the third time in the past decade and the fourth time overall. Fall 2018 marks the 10th annual Community Connections Tour – an opportunity for senior leadership to tour the province and forge partnerships beyond the campus.